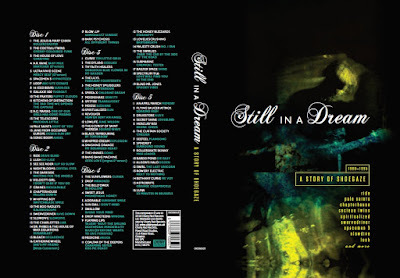 In case you didn't know, that pic is of one-time 4AD band Swallow whose "Sugar Your Mind", included here on Still in a Dream: A Story of Shoegaze 1989-1995, a 5-CD set out Friday from Cherry Red Records, illustrates the conundrum presented by the term "shoegaze" itself. I mean, somehow in the ensuing 25 years, the sounds of 4AD Records acts and genuine shoegaze acts are being written about as if they were both coming from the same place. Perhaps they were, in a sense, but my memory is vivid and I worked in record stores in the era and I can remember when the lines were drawn a bit more obviously, and scenes didn't simply blend into one another for the sake of historical convenience. Still, one must admire the folks at Cherry Red Records for casting a wide net in crafting this impressive set. It's worth noting that the very term "shoegaze" wasn't in wide use until 1991 and, prior to that, there was no real term to define all this stuff. If you talked about C86 bands, you were talking about bands on that seminal NME tape and many more of that generation who were inclined to have tunes anchored by jangling guitars; if you were talking about the "4AD sound" you were usually talking about something ethereal like Cocteau Twins, included here, and bands who wanted to produce music like that of Fraser, Guthrie, and Raymonde. But, hey, a lot of that was borderline goth too -- at least initially -- and the arrival of 4AD bands like Throwing Muses and Pixies upended the very idea that there was a "4AD sound" at all; I can vividly recall a few of the cool kids in this city at record shops in 1988 or so claiming that they hated all 4AD bands...until Surfer Rosa dropped. That kind of changed the dynamic, admittedly. But, with the benefit of hindsight, we can use the term "shoegaze" in a far, far broader sense. What that means is that this box set takes in everything from admitted C86 followers (Velocity Girl), Creation Records stalwarts (The House of Love), and American noise-niks closer to the Velvet Underground's legacy than they were to the fuzzy charms of stuff like Slowdive (Galaxie 500, The Flaming Lips). Here's the part where I indulge in a little personal history and nostalgia. I know those kids up in that pic (though I don't know Brian Nelson personally even if I know who he is). I can remember when Archie Moore (Velocity Girl, Black Tambourine, Lilys) walked into the Record Co-Op carrying the first Slumberland Records release. I couldn't believe that this guy -- one of the few people I knew at the time who knew C86 stuff, and My Bloody Valentine sides -- had made good on his fan-love of this kind of tune-age and created music that was worthy of being compared to his influences. Still an Anglophile at the time, I remained in that era a bit skeptical of any American act attempting to try their hand at "shoegaze" -- or whatever term we used for this music back then, 2 years before that label was bandied about -- and I probably should have paid more attention at the time to the tunes on that first Slumberland Records release. A few other people I knew from my time in College Park, Maryland record stores -- Bridget Cross (original singer for Velocity Girl, soon to be in Unrest -- a 4AD band! ), Kelly Riles (Velocity Girl bass player and a man of impeccable taste in that era), Pam Berry (Black Tambourine lead singer and one of our best vinyl customers) -- are on this box set through the work of 2 bands (Velocity Girl and Black Tambourine) featured on that first Slumberland Records piece of vinyl. I rattled on above to prove a point of how rare a thing it was in 1989 to know people who knew these bands and this music -- even a record store employee had trouble finding other like-minded music fans -- back then. Equally rare was to be even tuned in at all to a sound that was about to revolutionize the music world before there was even a term to describe it. 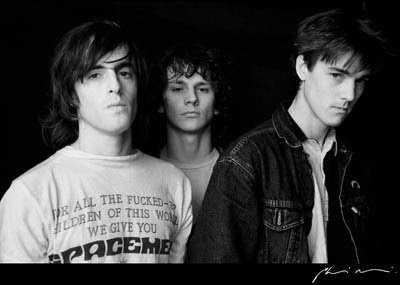 All this was before grunge broke big, even though it's worth noting that the 2 rival "hip" underground genres bubbling up in 1989 were grunge, thanks to the early singles coming out on Sub Pop, and "shoegaze", even if those of us seeking out and bonding over Loop and Spacemen 3 (see pic below) releases were still sort of not quite sure what our movement was. So, in some sense, by casting a really wide net, the folks at Cherry Red have re-captured some of that initial thrill of discovery circa 1988-1999 over the course of this set. 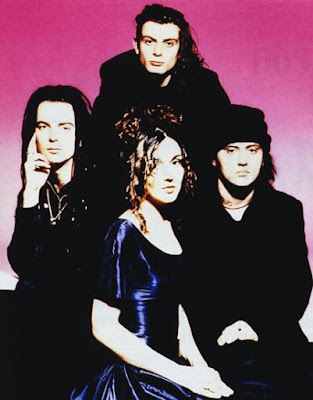 By covering bands not necessarily "shoegaze" (as we'd think of that genre now), Still in a Dream: A Story of Shoegaze shows that the genre itself was rather amorphous at the time, entirely fluid, and one that bridged multiple scenes. For example, I knew people who grooved on the Nuggets-era inspired freak-outs of Spacemen 3 and Loop and yet these same cats were ones who'd never think of picking up anything on 4AD, least of all albums from Cocteau Twins or Pale Saints. Alternately, I can think of a few folks who were down with the "ethereal" stuff represented by the Cocteaus, or Slowdive, who'd turn their noses up back then at the rather grubby fuzzy-ness of an early Flaming Lips cut. But here, in the midst of a not-really-chronological collection, those tracks add up to make a set of 5 pretty good-to-great mix tapes, more or less. Rather than offer a history of a genre, Still in a Dream: A Story of Shoegaze is more a survey of a sound, a series of snapshots of a scene -- or scenes -- gravitating towards noise and feedback and bliss. If disc 1 is dominated by the big names (Loop, Cocteau Twins, The Jesus and Mary Chain), it's disc 2's job to show how the whole "shoegaze" scene -- even in its infancy -- birthed a whole lot of great music among C86 devotees here (College Park, Maryland's Velocity Girl, erroneously called a Washington [State!?!] band in the liner notes), and bands who were far too good to stay pigeonholed for long in the "shoegaze" ghetto (The Boo Radleys, Swervedriver). 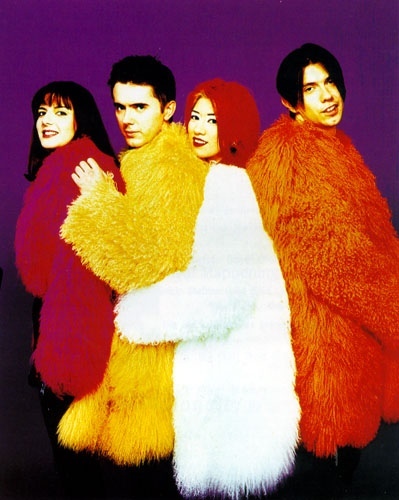 Still, this CD is basically the sound of 1990-1991 with the big names offered up on this one (Cranes, Lush, Ride -- shown below in that order). Disc 3 shows some progression of the genre, even on a track from another College Park, Maryland-area band (Lilys), a super-rare Th' Faith Healers track, an untypical 4AD band (Spirea X), and a song from the next-best-thing-to-Stereolab that this compilation can offer (Moonshake). 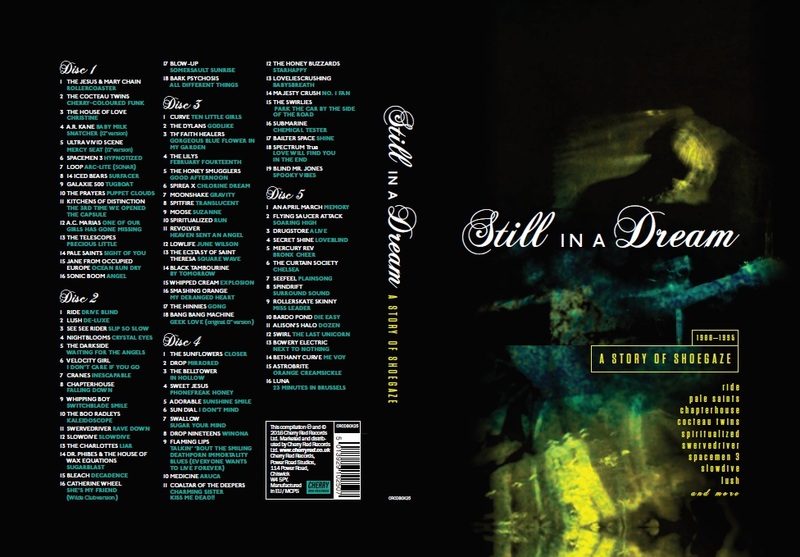 Still in a Dream: A Story of Shoegaze hits a sort of peak here on what may be the most consistent disc of the 5 discs of this set. If the first 2 were full of the familiar big names, disc 3 is the one that sort of surprises with even second-rans like Smashing Orange shining here in context next to the heavy hitters of the era (Spiritualized, Moose, Curve). And there are still 2 more discs of this collection to go! 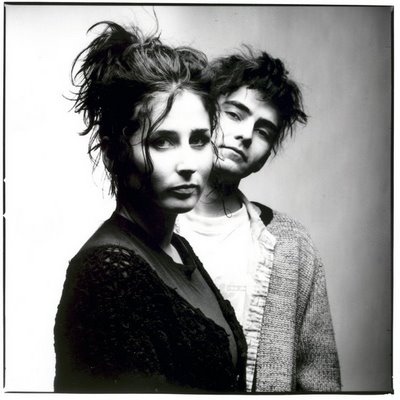 With the exception of some big tracks from Adorable and Swallow, disc 4 offers up more obscure stuff, even as it kinda slots one of the best US bands to attempt something approaching "shoegaze" onto the tail end of this one (Swirlies, shown in the second pic below). 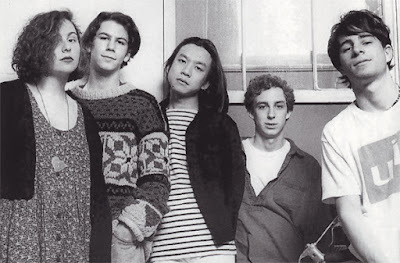 And speaking of American acts who tried their hand at this kind of thing, "Winona" by Drop Nineteens (pictured in the first shot below) surely remains one of the essential "shoegaze" tracks to ever come out on this side of the Atlantic. Props also to the curators of this one for selecting my fave Medicine cut for disc 4 ("Aruca"). The song blurs the lines between noise-rock and "shoegaze" and very nearly destroys the conventions of the genre in a blur. Was there anywhere for this style to go after this one? The stuff on disc 5 is very loosely "shoegaze", okay? In fact, I'd say it was a damn stretch to ever consider Luna a "shoegaze" act but, hey, I guess if you're gonna throw a Galaxie 500 cut onto this collection then it makes sense to include Luna. But that only raises the question of where's Damon and Naomi, an act who were far closer to "shoegaze", or at least the genre as it was represented by the likes of bands like Cranes on this set. By the time that Seefeel came along, the genre had morphed into something else. And, try as the curators at Cherry Red might, bands like Bardo Pond and Mercury Rev were never, even at their noisiest, "shoegazers". I mean, if they were than I guess Yo La Tengo and Sonic Youth were too? Of course not. 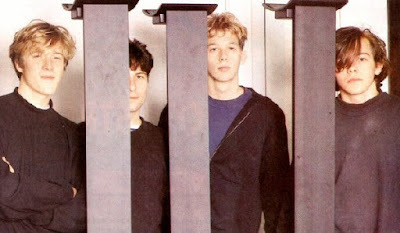 Still, the inclusion of so much music from so far out of the strict limits of the genre only serves to highlight the strengths of the "more-is-more" approach of Still in a Dream: A Story of Shoegaze. More a survey of the progression of indie from the simple melodic grace of the C86 flowering of acts and on to the expansive mind-altering explorations of bands on the Creation, 4AD, and Slumberland imprints, Still in a Dream: A Story of Shoegaze works best as the ultimate mix tape of an era. Mingling up Brit and American acts with a degree of abandon makes it virtually impossible to see which US acts were inspired by which UK bands, especially when they are presented out of chronological order. Even given that, what a listener can hear is a certain affinity that transcended borders and styles to overwhelmingly color an entire generation of acts. See kids, it wasn't grunge that changed the world but, rather, Loveless (1991) that did, as I explained before in this post that tells the tale of my accidental meeting with Kurt Cobain when I went to see Loop and Nirvana was the opening act (along with D.C. noise-niks Thud). Really, "teen spirit" moved the sweaty masses but there were loads of us searching for import singles from Ride at the time. Much like how as millions were being moved by the Beatles, there were pockets of resistance having their lives changed by the Velvet Underground, it was a bit like that here on this side of the Atlantic in 1990 or 1991 with Soundgarden ruling MTV and the "cool kids" reading Brit music papers for the latest news on acts like Spiritualized or Lush. It was as if you were speaking a secret language if you knew some of these bands back then. Sure, the term "shoegaze" may not have been heard until 1991 but, at least among certain people, it was a genre, even if one without a name, before that, as Still in a Dream: A Story of Shoegaze illustrates by the volume, and volume, of music here. 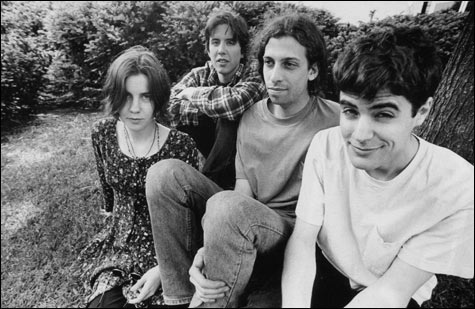 That the first burst of "shoegaze" creativity would carry the genre and style forward for at least another 5 solid years remains sort of hard to believe now. The genre was, as this set shows so well, so spread-out and diffuse as to make longevity nearly impossible. You weren't there to follow much of this first-hand? That's okay 'cause you can at least ingest the whole of the "good stuff" via the 6+ hours of "shoegaze" genius found on Still in a Dream: A Story of Shoegaze, out Friday via Cherry Red Records.